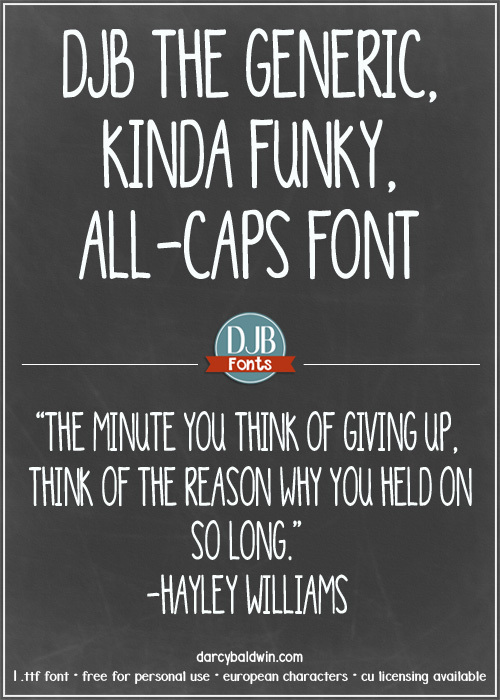 DJB The Generic, Kinda Funky, All-Caps Font — when you want to be hip and cool yet still readable. 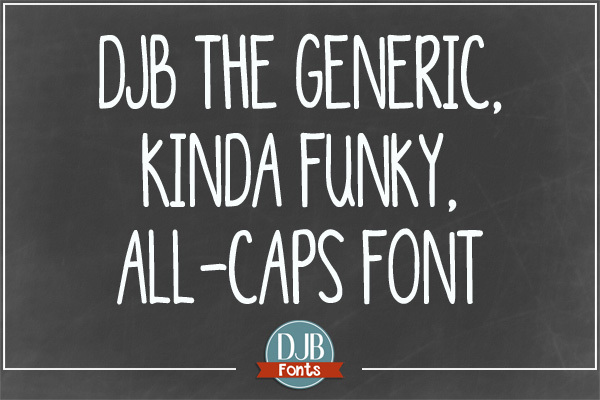 I had a company contact me last week about making my DJB Fonts Sand Shoes and a Fez font “more generic”. Those were the actual words!! So here is the result of ‘genericizing’ one of my fonts! This file contains one .ttf file with a full alphabet, numbers and most common punctuation and European language characters. It is free for personal use (not-for-profit). If you have a question about what constitutes personal use, check out this info or contact me with questions. If you would like to use this for your commercial/professional ventures, please purchase a commercial use license here. For your records, be sure to include the name of the font you are purchasing the license for. Alternatively, if you prefer not to use Paypal, you can purchase it from Creative Market and at The Hungry JPEG. The WEBFONT is available from FontSpring.